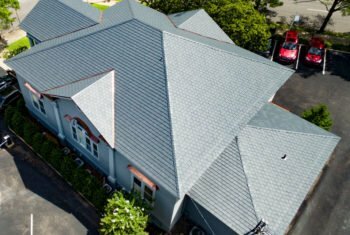 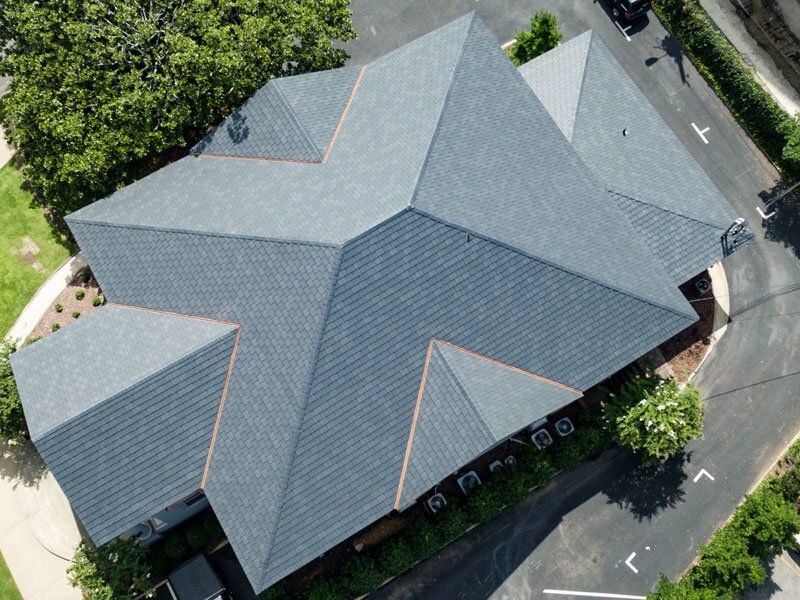 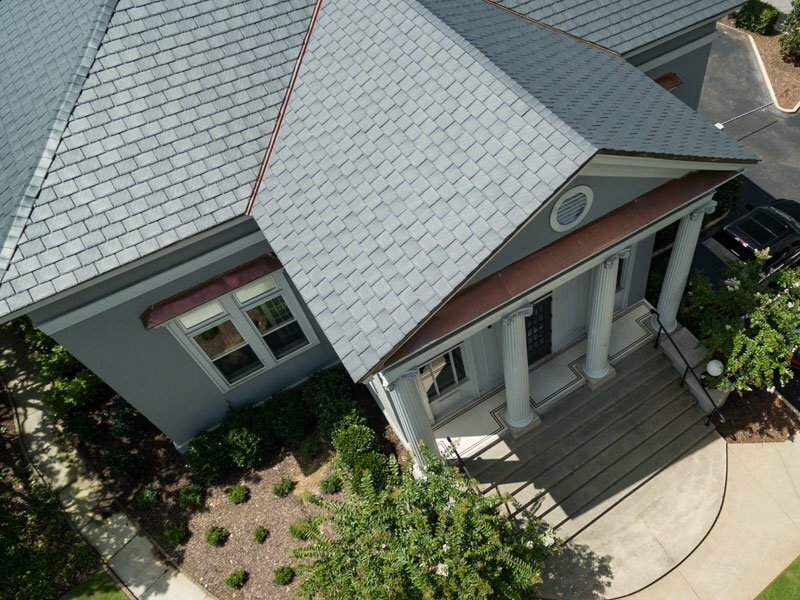 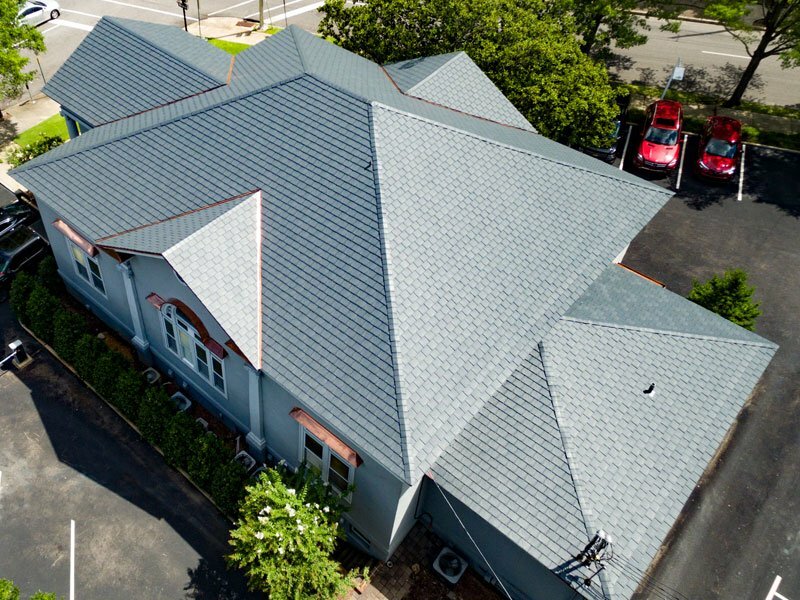 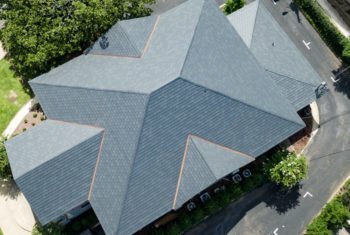 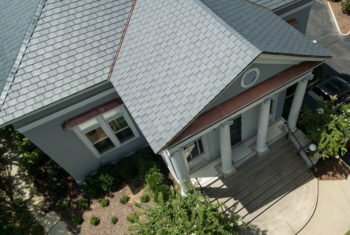 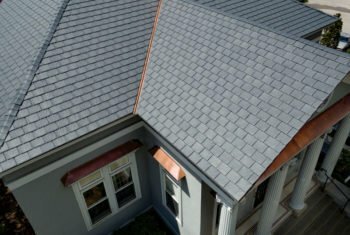 When selecting a roof for this building in Alabama, the property owner sought an affordable, yet beautiful alternative to real slate. 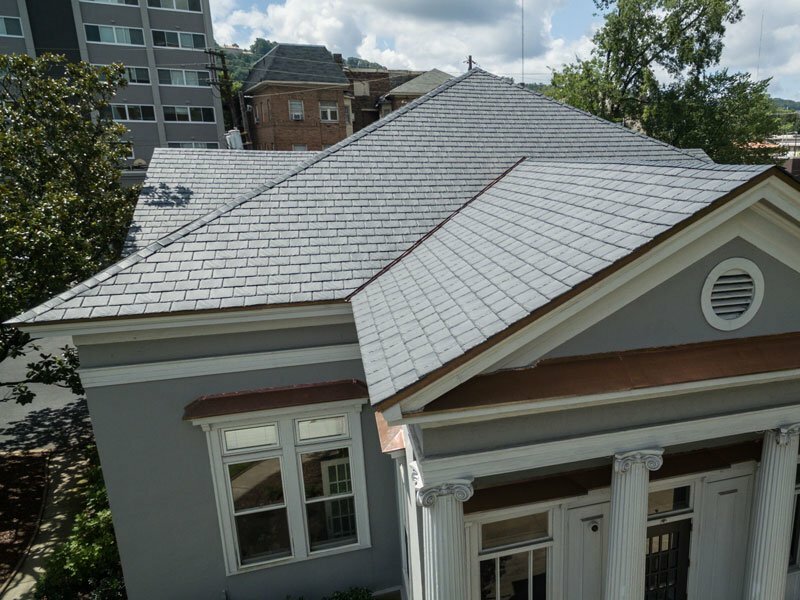 Majestic Niagara Slate was selected in Midnight Gray to provide long-lasting durability, superior protection against extreme weather conditions and 50 years of warranty coverage. 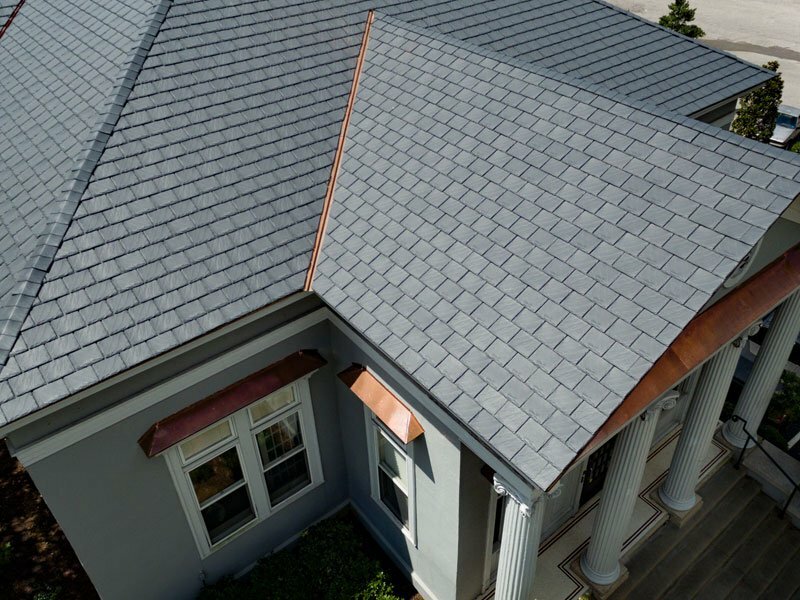 Majestic Niagara Slate is a natural-looking, 5/8” thick, synthetic slate roofing tile produced in 12” and 14” widths. 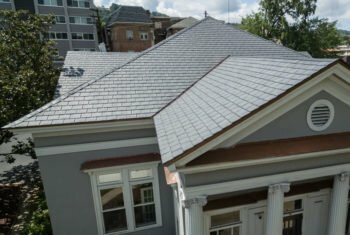 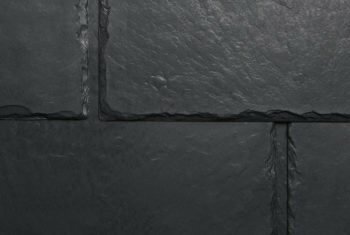 This added size allows each Majestic Niagara Slate 14” tile to cover one square foot of roof deck at the 10” exposure (100 tile/square) while maintaining a minimum 2” of headlap throughout. 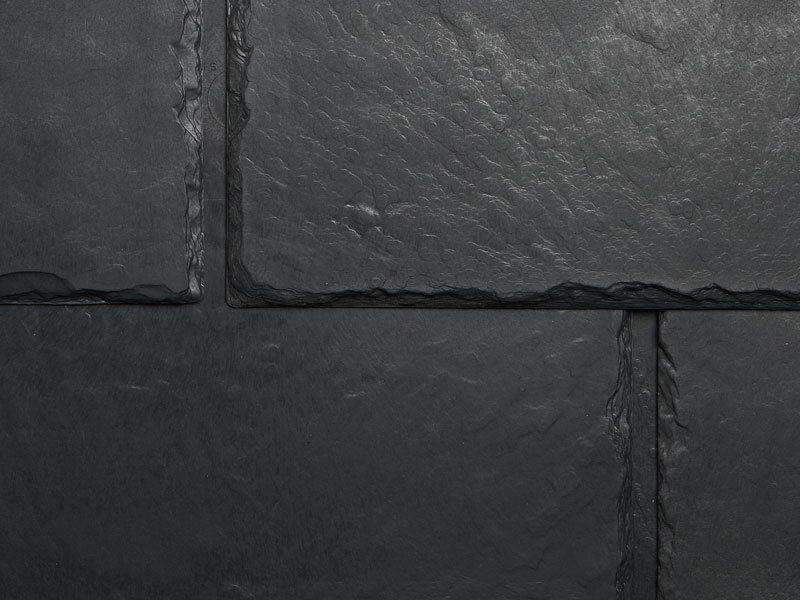 An additional 9” exposure option allows for the creation of unique looks using staggered or random width offset installations.